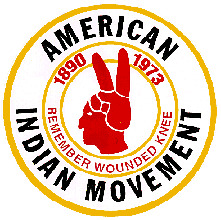 Now with the US President being confirmed for another four more years it is the time for AIM friends and supporters to gather together and take the opportunity and momentum and seek out new and challenging methods to have the voice of Indigenous peoples heard! With the passing of our Elders and leadership into spirit world over the recent months and years it is time to re-group and develop new workable strategies and with a five year vision of where we want to be at that time. A new national and international strategy for the release of political prisoner Leonard Peltier is in the making, also an assessment of what has been achieved since the Trail of Broken Treaties. Mr. Mike Upshaw, attorney, will be our keynote speaker on Monday morning of the 19th, let’s give him the respect he deserves with your presence. And, how does 1972 Trail of Broken Treaties relate to the recent UN Declaration on the Rights of Indigenous Peoples? Which is the theme for this year’s 6th annual AIM-WEST hosting the AIM West Coast Conference, lots to talk and plan together. Let’s come together and see what inspiration we can provide for the coming generations. Mark your calendars now! AIM High!! AIM for Freedom!